RM70TR Mobile Container Truck 320 Litre. 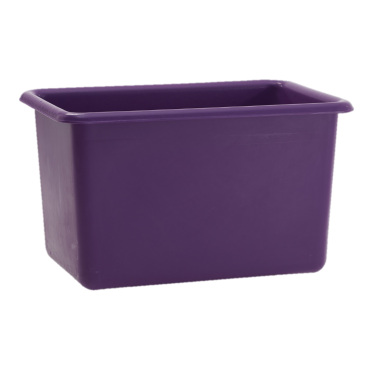 The RM70TR is a large heavy duty storage bin that is manufactured using rotationally moulded polyethylene (MDPE). Seamless, watertight and easy to clean, this robust container truck has a 320 litre volume and 220kg weight capacity. For more secure storage, equip this container with a lid. Situated on 4 x 4 inch (100mm) castors, the RM70TR is designed to provide excellent manoeuvrability, even when full, and can be fitted with a handle for better user control and handling. This mobile container truck is ideal for industrial use and is available in a wide variety of colour options to integrate with colour coding systems. We offer five standard colours; blue, red, green, yellow and white (natural). A further four made to order colours can also be chosen from; orange, purple, brown and grey. Black is also available but in recycled plastic - to view the RM70TRREC click here. 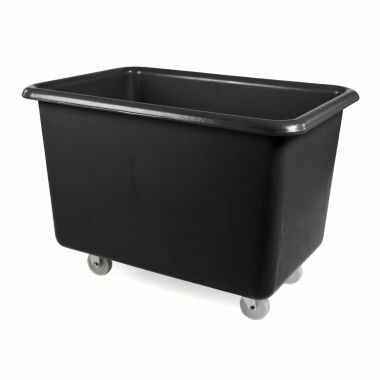 A popular model within the Supertuff range of plastic mobile bins, the RM70TR is designed to suit a host of different applications throughout many industries. Commonly used as dough or bottle bins, these plastic tapered trucks are produced from virgin grade polyethylene (MDPE) and are incredibly resistant to impacts. Rotationally moulded in our UK factory, the RM70TR is a one-piece truck that is seamless, watertight and easy to clean. 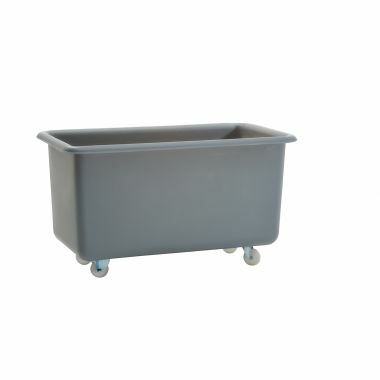 The 4 x 4 inch (100mm) castors make this container truck easy to manoeuvre, even when full, making it ideal for laundry, waste handling and packaging applications. An optional plastic handle is also available for better user control/posture. The RM70TR is available in a wide range of colour options as standard and can be supplied with a matching lid if required. Can't see the colour you are looking for? Get in touch with our dedicated sales team and we will work to meet your requirements.